John A Bassadone, CEO and founder of Peninsula Petroleum. Peninsula Petroleum today has announced the launch of a new physical bunker supply operation in the Canary Islands. The news follows December's announcement that it commenced physical bunker supply operations in Malta. 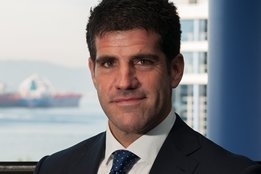 "Despite the fact we've been active in that market for over 20 years, a few months ago the group decided to enhance its previous setup securing a long term agreement with a local storage company leasing all its tankage capacity for both fuel oil and gasoil," said John A Bassadone, CEO and founder of Peninsula Petroleum. From January onwards, the new configuration gives us the ability to independently manage the whole supply chain, from refineries all the way through our customers' vessels". With the market set for a shake up this year as the new IMO2020 global 0.50% sulfur cap on marine fuel comes into force on January 1, 2020, Peninsula says it expects the region to grow in importance. "On top of the important economies of scale generated by adding Canaries to our portfolio the new operation makes a lot of sense from both the Supply and the Sales perspectives considering the synergies and optionality generated for suppliers and customers trading in our regional physical platform (ARA, Gib Strait, Barcelona and Malta)," Bassadone adds. "We expect that particular area (the Canary Islands) will also play an even more important role in 2020 after implementation of the new global regulation."